Ana Today is the beginning of anything you want. So don't just dream it, do it! "Being active has always given me a sense of accomplishment no matter what is happening in my life, that amazing feeling is what I want to share with others." Ana attended her first indoor cycling class as a college student over 10 years ago. 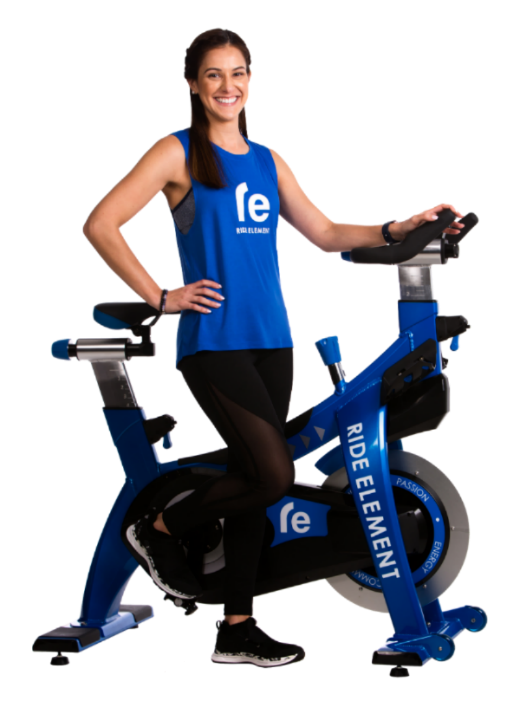 As a competitive athlete, fitness had always been an integral part of Ana’s life, and indoor cycling delivered the intensity, inspiration, and positive vibes that immediately got her hooked! She started sharing her passion for fitness with others and found such reward in seeing what activity can do for a persons mind and soul and how the body changes as a side effect of it. She is a certified indoor cycling instructor and a master TRX Team Coach. "I believe quality over quantity wins every time". You will learn the right form and will come out of her classes feeling strong and happy!